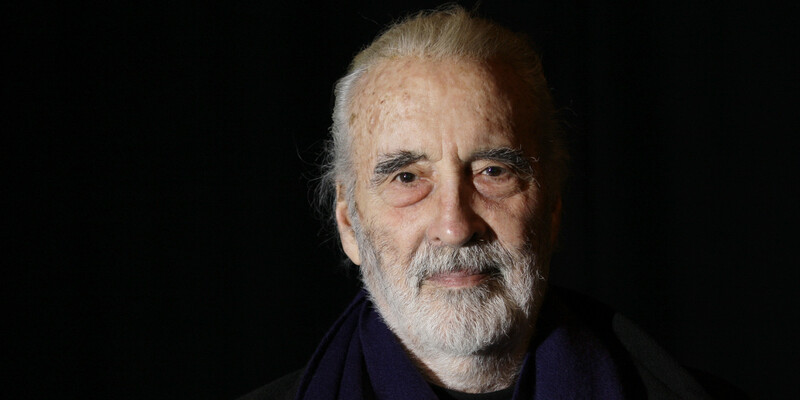 Last week we lost a pillar of the film industry so today we remember the great Sir Christopher Lee. Despite being known for his portrayal of some of cinema’s greatest villains, Christopher Lee was a true hero. As a volunteer fighter in WWII, Lee served with distinction, including being attached to the Special Air Service and Special Operations Executive. Despite his reluctance to speak publicly about his service, during the filming of his death scene in Lord of the Rings, he schooled Peter Jackson on being stabbed in the back. After the war Lee decided to become an actor and got his first big break with Hammer Film’s 1957 film The Curse of Frankenstein in which he starred as the Creature alongside Peter Cushing’s Victor Frankenstein. The two would become a lifelong friends and frequent collaborators. Christopher Lee would have a long and fruitful career playing villains ranging from one of the best Bond villains, Francisco Scaramanga, to Saruman the White, Count Dooku and Dracula. He also relished the chance to play a hero in Sherlock Holmes and the Deadly Necklace and considered his performance as Pakistan’s founder Muhammad Ali Jinnah as his best. With over 200 film credits to his name he is one of Hollywood’s most prolific stars and will be sorely missed. Christopher Lee’s breakthrough role at Hammer Films. Victor Frankenstein builds a creature and brings it to life. But his creature behaves not as he intended. After Jonathan Harker attacks Dracula at his castle (apparently somewhere in Germany), the vampire travels to a nearby city, where he preys on the family of Harker’s fiancée. The only one who may be able to protect them is Dr. van Helsing, Harker’s friend and fellow-student of vampires, who is determined to destroy Dracula, whatever the cost. The film had many sequels including one in which Christopher Lee refused to read the poorly written lines so was reduced to hissing throughout the movie instead. In the 1890s a team of British archaeologists discover the untouched tomb of Princess Ananka but accidentally bring the mummified body of her High Priest back to life. Three years later back in England a follower of the same Egyptian religion unleashes the mummy to exact grisly revenge on the despoilers of the sacred past. A police sergeant is sent to a Scottish island village in search of a missing girl whom the townsfolk claim never existed. Stranger still are the rites that take place there. Christopher Lee was so keen to get this film made he gave his services for free. A young swordsman comes to Paris and faces villains, romance, adventure and intrigue with three Musketeer friends. Christopher Lee plays the Comte de Rochefort and was the first actor to sport an eyepatch while playing the character. Christopher Lee actually met Prince Yusupov and Grand Duke Dmitri Pavlovich (the men who killed Rasputin) so it’s rather fitting that he would go on to play the titular character. The movie chronicles the events of history’s “man of mystery,” Rasputin. Although not quite historically accurate and little emphasis is put on the politics of the day, Rasputin’s rise to power and eventual assassination are depicted in an attempt to explain his extraordinary power and influence. Christopher Lee was also a badass musician, releasing his first complete metal album in 2010 called Charlemagne: By the Sword and the Cross.